Excerpt from The Lost Children: Or, Henry and His Torch "Farewell! God knows when we shall meet again. I have a faint cold fear thrills through my veins. That almost freezes up the heat of life." Ding, dong! ding, dong! ding, dong! went a bell that was carried by a little boy through the streets of Pittsburgh, one day in the fall of 18 - . "Who's lost, little boy?" said a prim looking maiden lady of an uncertain age, to the lad who was carrying the bell. About the Publisher Forgotten Books publishes hundreds of thousands of rare and classic books. Find more at www.forgottenbooks.com This book is a reproduction of an important historical work. Forgotten Books uses state-of-the-art technology to digitally reconstruct the work, preserving the original format whilst repairing imperfections present in the aged copy. In rare cases, an imperfection in the original, such as a blemish or missing page, may be replicated in our edition. We do, however, repair the vast majority of imperfections successfully; any imperfections that remain are intentionally left to preserve the state of such historical works. It was the longest drought that anyone in the county had ever seen. Everyone was praying for rain. The fields were dry, the animals were thirsty and everyone was really hot. But only one little girl really believed that God would answer and she taught her minister a lesson. Find out how she did this by reading the rest of the story and others in this book. Read about the drought, the poor man who was made rich and the shepherd boy who lost his sheep. You will also read about people and lots of children who faithfully stood up for Jesus. Scriptural references are taken from the King James Version of the Bible and the questions are based on this. Suitable for 7-12 year olds. Here the late Raphael Patai (1910-1996) recreates the fascinating world of Jewish seafaring from Noah's voyage through the Diaspora of late antiquity. In a work of pioneering scholarship, Patai weaves together Biblical stories, Talmudic lore, and Midrash literature to bring alive the world of these ancient mariners. As he did in his highly acclaimed book "The Jewish Alchemists", Patai explores a subject that has never before been investigated by scholars. Based on nearly sixty years of research, beginning with study he undertook for his doctoral dissertation, "The Children of Noah" is literally Patai's first book and his last. It is a work of unsurpassed scholarship, but it is accessible to general readers as well as scholars. An abundance of evidence demonstrates the importance of the sea in the lives of Jews throughout early recorded history. Jews built ships, sailed them, fought wars in them, battled storms in them, and lost their lives to the sea. Patai begins with the story of the deluge that is found in Genesis and profiles Noah, the father of all shipbuilders and seafarers. The sea, according to Patai's interpretation, can be seen as an image of the manifestation of God's power, and he reflects on its role in legends and tales of early times. The practical importance of the sea also led to the development of practical institutions, and Patai shows how Jewish seafaring had its own culture and how it influenced the cultures of Mediterranean life as well. Of course, Jewish sailors were subject to the same rabbinical laws as Jews who never set sail, and Patai describes how they went to extreme lengths to remain in adherence, even getting special emendations of laws to allow them to tie knots and adjust rigging on the Sabbath. "The Children of Noah" is a capstone to an extraordinary career. Patai was both a careful scholar and a gifted storyteller, and this work is at once a vivid history of a neglected aspect of Jewish culture and a treasure trove of sources for further study. It is a stimulating and delightful book. It May Not Be a Coincidence That This Book Has Crossed Your Path...In Peace with God Dr. Billy Graham asks God to help this book "find its way into the hands and hearts of a lost, confused, and searching world ...men, women, and young people everywhere [who] thirst for peace with God." In spite of a life drenched with responsibilities and rewards, are you thirsting? Searching for some nameless thing that is more important than anything in life? You are not alone. All mankind is seeking the answer to the confusion, the moral sickness, the spiritual emptiness that oppresses the world. All humanity is crying out for guidance, for comfort ...for peace. Dr. Graham shares God's gentle, reassuring promise of spiritual calm-of authentic personal peace-amidst a personal life wracked with too much stress, too many burdens, too great a heartache. 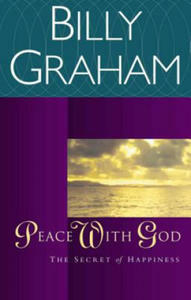 "I know men who would write a check for a million dollars if they could find peace," writes Dr. Graham. "Millions are searching for it. But we Christians have found it! It is ours now and forever. We have found the secret of life! ...When your spouse dies or your children get sick or you lose your job, you can have a peace that you don't understand. You may have tears at a graveside, but you can have an abiding peace, a quietness. "God's peace can be in your heart-right now ...Whatever the circumstances, whatever the call, whatever the duty, whatever the price, whatever the sacrifice-His strength will be your strength in your hour of need. "It's all yours, and it's free. You don't have to work for it ...Do not put it off." A new edition especially for Advent and Christmas in this best-selling series of gift books God's Little Book of Christmas brings the childlike spirit of the season back into your heart, amid all the busyness. 'Christmas is a bridge - use it to restore lost relationships, renew failing ones and cross over to make new ones.' As children we look forward to Christmas as a time of great excitement, but, as adults, the frenetic preparations can overwhelm us, distracting us from the joy of the season. For many this is one of the most wonderful times of the year. While today, unfortunately, Christmas has become overly commercialised, the real reason for the season will always remain. Christ is the saviour of the world. He left the adoration and praise of his angels to receive insult and rejection from his own created. He suffered and died so that we can have life. Why did He do all this? To save a dying world from the consequences of sin, to give us hope and an eternal future. Christ came because He loves us. Christmas is really about acknowledging what Christ has done, giving thanks that he came and looking forward to a time when he will return so that one day we can all share in his heavenly riches. Would you like to make a difference? These ten girls grew up to do just that. Susannah's children changed their country; Monica's son changed the church; Ann's romance taught Burma about the love of Christ; Edith was used by God to change a continent; Katherine escaped from oppression and changed her world; Susie listened to a preacher and then published the gospel herself; Bethan met a doctor and then helped to heal people's souls; Maria lost her parents but found China; Sabrina was imprisoned for her faith and then fought to set other Christians free; Ruth began her life in China but eventually God took her in a mission round the world.Read this book and find out what God wants you to do. A Composite Portrait of Heaven Christian Faith Publishing, Inc. This book takes fifteen separate accounts of people who have visited heaven and compares them feature by feature with regard to many aspects of heaven, such as the gates of pearls, the wall of precious stones, the throne, the archives, the River of Life, golden streets, trees, fruit, flowers, heavenly music, children, animals, meeting family and friends, meeting saints and angels, meeting Jesus, life in heaven, etc. The similarities are noted as well as interesting differences. One chapter, entitled "The Bad News," records a number of different accounts of people who didn't go to heaven but were able to come back and tell their gruesome experience, which they all hope never to repeat. It is the author's hope that this book will allay any doubts someone may have had about any individual account of heaven he or she may have read. I look forward to Christians having a better understanding about what lies ahead so they will have no fear of death but rather have excitement about the future. I hope too that the reader will be drawn closer to God, seeing a greater picture of his love for us by how much he has made heaven so wonderful for us. Perhaps too it will comfort some who have lost loved ones by giving them a clearer picture of the joy, peace, wholeness, and wonderful life their loved one is now experiencing, more than they ever had on earth. I hope too that skeptics will read this book and realize they have an important decision to make that will affect them for all eternity; the reality of life after death is undeniable, and in Jesus, it will be a complete fulfillment of everything good we hope from this life, but apart from Jesus, it will be totally terrible. Do you want to teach your children the stories of the Bible in a way that will honor God? Do you want your children to get excited about God in learning His stories? "Oma tells Histories" does just that by relating these Bible classics in a way that is understandable for children and will get them asking questions and wanting to know more. Wonderfully illustrated, "Oma tells Histories" shows: -The story of Noah, his family and their faith and obedience to God. -Hannah's promise to God. -Samuel imparting God's blessing on David. -Jonah trying to hide from God. s Mary and Joseph and the first Christmas, God's promise to all of us. -The Good Shepherd who went to find the lost sheep. And many other stories, with prayers included to further enrich the experience of parents and grandparents reading with their children and grandchildren. All through scripture, the people of God have found true freedom in a journey through the desert. It is a simple trajectory - the exodus, the exile, the forty days, the cross. This book aims to lead you down the lost seam of gold that is desert spirituality in the Bible. The desert makes a powerful spiritual impact on those who go there. It encourages us to realize that we know who we really are only when we have nothing. Nothing is when we sense God's presence in the awesome stars and skies. Nothing is the stunning silence of the sand dunes as it welcomes the dawning in our mind that God is real and God is good. Nothing is what we have in fierce places and dry times. But looking around the wealthy churches of the western world, we hang on to what we've got for fear that God has no more to give. We seek rational controls over the Spirit of God. Faith has become more about words than love. No wonder we are thirsty. We desperately need to recover a dimension of our faith that has been left out. If you are tired of the dogmatic pathways of religion, or if you have departed the church for fear of shriveling, this book will steer you back to the best of biblical spirituality. That is what was in mind when Moses spoke Deuteronomy in the desert, the same place where Jesus caught wind of it. This spirituality grounds us. Jesus, our role model and source, our presence and promise, is making us an offer. If we grasp this, it could open up a resource of strength and simplicity in this challenging twenty-first century. Given the number of biblical heroes whose faith and dependence on God were honed in the white heat of the desert, to those who have ears to hear, this book offers an eloquent challenge deliberately to seek deeper spiritual transformation in dry places - and not always be satisfied with a focus on verdant pastures and flowing streams, whether in our churches or elsewhere. Dr Andrew D. Clarke, Senior Lecturer in New Testament, University of Aberdeen, Scotland For many years I have been journeying with Ian in the deserts of Australia. His reflections have provided me with a fresh language and joy in exploring the landscape of my soul. As Ian says ""the desert is the spiritual director"" however his biblical knowledge of desert spirituality has deepened my experience and the richness of the blessings I have received out there. Susan Kaldor, Counsellor, Leadership Consultant, Spiritual Director, Fellow traveller I commend readers to Ian Robinson's book, and hope that many who experience the spiritual aridity of urban existence can find the water of life in the desert places of the heart. David Tacey, Professor of Humanities, La Trobe University, Melbourne Ian Robinson was the first to cross all of Australia's deserts in one journey. It was deeply transforming for all involved. Since then, he has led hundreds on desert retreats called 'Spirit Journeys' and has researched, written and spoken in many church and community settings. Ian is the Uniting Church Chaplain at the University of Western Australia, is married to Margaret with three adult children. He has an MA from Oxford University and a PhD from Charles Sturt University. Justyn Rees Larcombe had everything. Successful in the world of re-insurance, he was being fast tracked for further promotion in a global company. He had amassed a large amount of wealth and all the trappings that went with it, including a big house and fast cars. He had a beautiful wife and three sons. Then he lost it all. 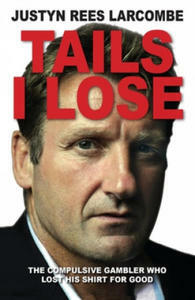 Addicted to gambling, Justyn lost three quarters of a million pounds in three years. He spent his wife's money and even used his corporate credit card to fund his habit. It cost him his job, and then his wife, children, home and reputation. Having barely escaped criminal prosecution, he reached rock bottom and considered suicide. In one final throw of the dice, Justyn returned to the God of his youth. It turned out to be the safest bet he had ever made - through a miraculous and dramatic healing he stopped gambling overnight. This is a highly readable and engaging story from a man who had and lost everything only to discover all he ever wanted in the embrace of a loving God. Today Justyn speaks widely about the dangers of gambling. "God has restored much of what I lost and is continuing to do so," he explains. "I am slowly dealing with the consequences of my habit." In Embraced: Many Stories, One Destiny, Mark Buchanan creatively uses the art of storytelling to illustrate the theology of Jurgen Moltmann. Pastor Buchanan beckons us to engage with the stories and be drawn into a future beyond what we could imagine or create. We are invited to walk with an orphan, a disheartened young adult, a sorrowful community, a frustrated parent, and others, to encounter our own emptiness and indifference and eventually discover that ""in the end, a beginning lies hidden."" God's boundless resolve to comfort the suffering, gather the lost, bring hope to the despairing, and share life that rises out of death is artfully expressed. Mark Buchanan captures common human experiences and compassionately takes us on the journey from hopelessness into hopefulness. He invites us into the embrace of God that sets us free and unites our story with God's story. As a practical application of Jurgen Moltmann's theology, Embraced: Many Stories, One Destiny introduces us to a shared life with God that is inclusive, hopeful, and creative. ""If you read Embraced, you will be captured by the engaging and poignant stories that Mark Buchanan tells. They are stories of weakness and strength, pain and joy, despair and hope. You will sense that you too can find life and hope in the embrace of God. I cannot recommend this incisive and spiritually deep book too enthusiastically."" --Stephen T. Davis, Russell K. Pitzer Professor of Philosophy, Claremont McKenna College ""Drawing on decades of pastoral experience, Mark Buchanan offers a creative doorway into the theological work of Jurgen Moltmann. Simultaneously challenging and inspiring, this book displays the theological depth of the stories that animate our lives."" --Matthew D. Lundberg, Associate Professor of Theology, Department of Religion, Calvin College ""Mark Buchanan has written a beautiful book that bridges the gap between the hopeful theology of Jurgen Moltmann and real life experiences. Embraced is not an abstract theological work for scholars; it is a raw and authentic reflection for pilgrims 'on the way' who, like Buchanan and like Moltmann himself, are seeking to walk with Jesus on the way to His future and our universal future in Him."" --Ben Merritt, Blogger, moltmanniac.com ""From the first day Pastor Mark walked into my graduate seminar on Moltmann's theology a few years ago, I could tell how deep his appreciation and passion for the German Theological Master's thought is. From the first page of the manuscript draft he gave me to read, I could tell how skillfully and creatively he is able to weave constructive theological ideas into the fabric of every day pastoral narratives. What a feast this book is!"" --Veli-Matti Karkkainen, Professor of Systematic Theology, Fuller Theological Seminary; Docent of Ecumenics, University of Helsinki Mark French Buchanan is a Presbyterian pastor specializing in multicultural ministry in the Los Angeles area. He has been an enthusiastic student of Jurgen Moltmann's theology since encountering Dr. Moltmann as a seminarian at Princeton Seminary. He writes using engaging real life stories to illustrate and bring to life the central tenets of Dr. Moltmann's theology. He currently resides in Pasadena, California, with his wife and children.